I have been meaning to make coloured rice for ages, but had somehow convinced myself that it was really difficult. 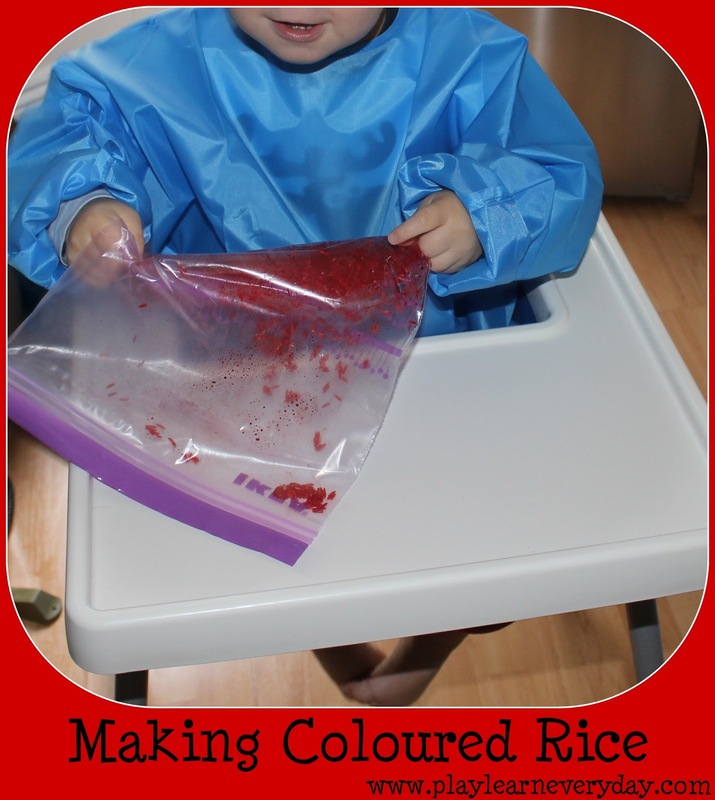 Today I had a proper look around at all of the best crafty Mommy blogs, looked at all of the different methods of colouring rice and just had a try. Different methods include using food colouring or Kool Aid for the colour (we went for Kool Aid, as we have some and for the fantastic smell!) and using water, vinegar or rubbing alcohol to spread the colour around. (Vinegar and rubbing alcohol are said to help prolong the life of the rice and the alcohol can also help it dry faster). We used a combination of these ideas (and what we had in the cupboards) to make our rice.